Alleged N.Y. Bomber Ahmad Khan Rahimi Indicted On Federal Charges : The Two-Way The bombings include one in New York on Sept. 17 that injured 30 people. He also faces New Jersey state charges of attempted murder of law officers. Ahmad Khan Rahimi, an Afghan-born U.S. citizen, has been indicted on eight federal counts. He is accused of bombings and other crimes in New York and New Jersey in September. 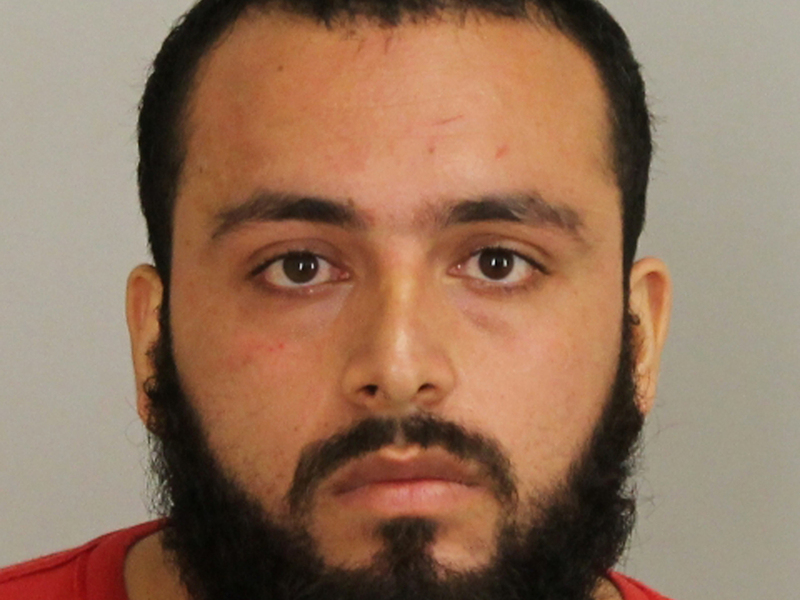 A New Jersey man, Ahmad Khan Rahimi, has been indicted on eight federal criminal charges related to bombings in Manhattan and New Jersey earlier this year. According to federal prosecutors, the 28-year-old Afghan-born U.S. citizen was inspired by international terrorists, including al-Qaida. "Prosecutors say he detonated a bomb in Manhattan's Chelsea neighborhood in September that injured 30 people. He is also charged with planting a second bomb in Manhattan that did not explode, and a pipe bomb that did explode along the course of a Marine Corps charity race at the Jersey Shore but did not injure anyone. "Rahimi was arrested days later in Linden, N.J., after a police shootout. He remained in New Jersey recovering from gunshot wounds until last week, when he made his first appearance in federal court in New York." If convicted of all federal counts, Rahimi faces a mandatory life sentence in prison. Joel notes that Rahimi is expected to plead not guilty. The charges against Rahimi include the use and the attempted use of a weapon of mass destruction, the interstate transportation and receipt of explosives, and the bombing of a place of public use. According to the Associated Press, Rahimi also is facing 30 counts in New Jersey state court in connection with the Sept. 19 shootout, including attempted murder of a law enforcement officer. Those charges could result in another life sentence if he is convicted. Rahimi's arraignment on those counts was held via video conference between a state courthouse and his Newark hospital bed in October. In his court appearance last Thursday in Manhattan, Rahimi's lawyer, David E. Patton, a federal public defender, questioned whether the defendant can receive proper medical care in the Metropolitan Correctional Center in New York.